Are you looking for ways to promote job opportunities with your organization? Do you want to increase awareness of your organization? 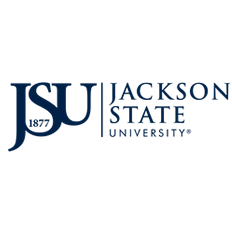 Would you like to broaden on your relationship with Jackson State University? Jackson State University's Career Services Center is excited about its Corporate Partners Program. Our hope is that this partnership will result in more visibility for companies that recruit on our campus and lead to more internship and full-time career opportunities for JSU students. Components of the Corporate Partners Program include website presence, campus recruiting benefits, and campus visibility. A key advantage of sponsorship is inclusion in our comprehensive Career Services Center Career Guide which is distributed to our students in print form and via our website. The Career Services Center Career Guide will also feature advertisements from employers; and our website will feature articles that showcase our Corporate Partners. Two options apply for participation in our Corporate Partners Program: sponsorship and advertisement. A description of both is included for your review. Come aboard as we "Unite Talent with Opportunity." If you would like additional information about the Corporate Partners Program, please contact the JSU Career Services Center at 601-979-2477.